If there is one type of purchasing approach that results in more appliance returns than any other, spontaneous shopping has to be at or near the top of the list. While the return of appliances after this type of shopping spree can be motivated by a number of factors, the leading cause is that the newly purchased products are of a size that makes their installation impossible, expensive, or ill advised. If you are in the decision stage of the appliance purchasing process, the first thing to remember is that buying on impulse can be a hit or miss drill with the misses unnecessarily consuming time, effort, and money. The space where each appliance will be installed – Trying to “eyeball” or guesstimate the dimensions of the locations for each appliance may work, but it probably won’t. Even the smallest miss can either make the installation more expensive due to modifications of surrounding counters and cabinets or make the appliance look like a poor fit for the space. The appliances under consideration – Getting precise measurements on the appliances you want to buy is as important as measurements of the space they will occupy. When measuring both the space and the products, don’t forget to measure depth, as an appliance that extends beyond or is recessed back from surrounding counters/cabinets will look misplaced. Any tight areas on the path from the curb to the kitchen, laundry room, etc. – The fastest way to find out that an appliance isn’t going to fit is if the product can’t be delivered due to obstacles on the path, whether they are on the interior or exterior of the home. Obstacles that can prevent delivery include narrow walkways, doorways, and staircases, especially those with tight turns. 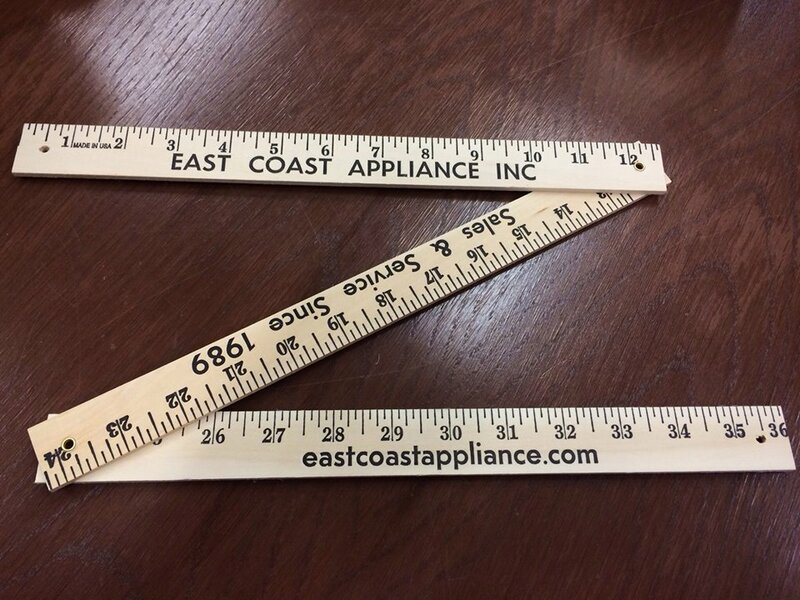 Measuring these areas in advance can ensure that your new appliances can get where they are supposed to go while also speeding the installation if, for example, doors need to be taken off of their hinges to allow passage. Spontaneous shopping can be full of temptations, so be sure to check your measurements before you head to the store and after you get the cut sheets from your salesperson. Major appliances are becoming increasingly computerized, a trend that is sure to continue as sensors and other devices facilitate both wireless and hard line connectivity with the web. While the trend toward increasing computerization and connectivity will deliver a number of conveniences, such as checking the inventory of a refrigerator and the remote operation of other appliances, technological capabilities will also add so many options that making a purchasing decision will become far more difficult. To help sift through the myriad of choices that now accompany major appliances, here are the four most important factors to consider before making a purchase. 1) The base function plus features – Every appliance has a base function whether it’s a refrigerator’s job to keep food cold or a dishwasher’s job to clean dishes. If there are features and capabilities beyond the base function of the appliance that you know will come in handy, add them. 2) Operational simplicity – The definition of simple operation may differ substantially between users, meaning that a computer programmer may find long protocols of commands to activate features a breeze while someone else may need to consult the owner’s manual to perform basic tasks. 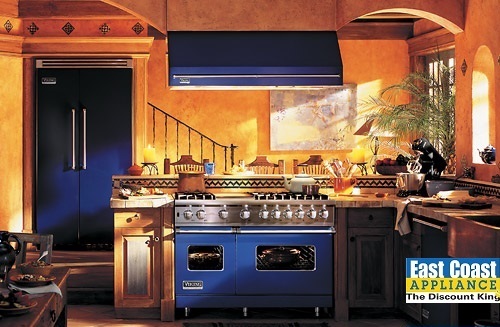 The important thing here is that you buy appliances that you can easily operate at their highest level of performance. 3) How each appliance will be used on a regular basis – If you are constantly cooking for an army, a larger refrigerator, dishwasher, and/or range may be in order as long as your kitchen has enough space. 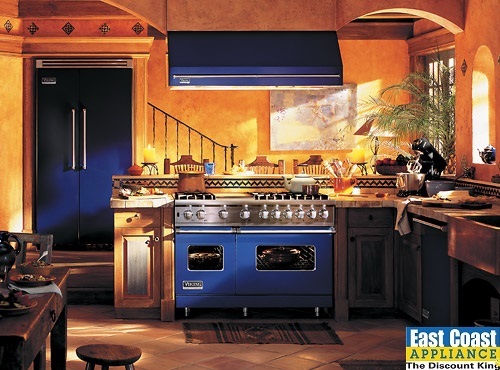 On the other hand, if you are usually cooking for smaller numbers, standard-sized appliances will likely suffice. 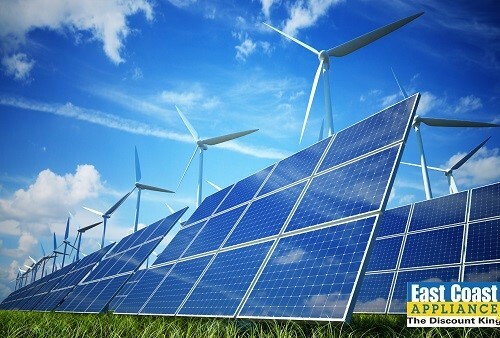 4) Energy efficiency – If all other things are equal between appliances that you are considering for purchase, buy the most energy efficient model. This choice will result in monthly savings for a decade and maybe two, which can add up to a lot of money. Despite the growing number of things that appliances can do, each product still has one primary function. Starting there and then considering the other factors listed above will put you in a position to buy the right product every time. 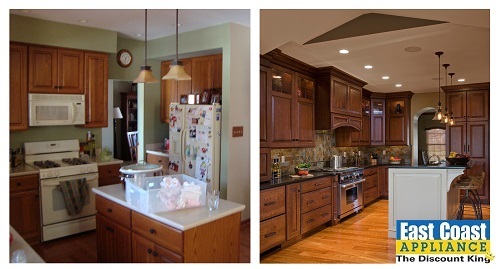 Here are a few tips to help you choose the right appliances for a kitchen remodeling project while battling money versus love, or needs versus wants. Generally speaking, selecting the right criteria for the purchase of new appliances for a kitchen remodeling project depends on whether the end objective is to personalize and customize the space for the household (love) or increase the resale value of the home (money). The project’s budget should be based on two parameters; the appraised value of the home and the selling prices for similar homes in the neighborhood – The rule of thumb for setting your remodeling budget is that it should run between 5 and 10 percent of the home’s value. If your home’s value is approximately equal to other homes in the area, keep the budget closer to 5 percent. If its value is significantly less than other homes, the budget can be pushed toward 10 percent. 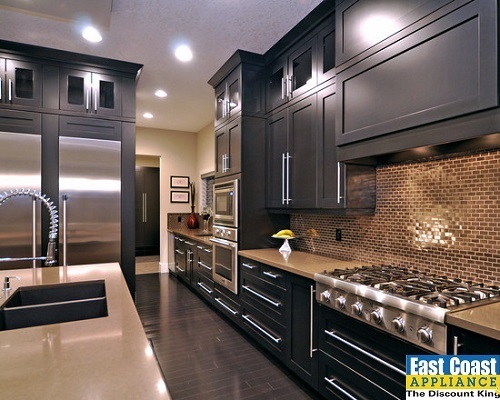 Appliances should be purchased with ruthless efficiency – While you definitely want to present an upgraded look, buying high-end appliances in this type of remodeling project will result in a lower return than going with base models. Remodel for a broad market – To give your home the best chance of selling, you’ll want to go with neutral (white or stainless steel) appliances and basic cabinetry to appeal to a broader audience. If the long term plan is to stay in your home, return on investment becomes a non-issue – While you don’t want be wasteful, the budget for new appliances and other features in the kitchen can be expanded to what you can afford. Appliances can be purchased to deliver an optimal user experience – Again, you’ll want stay within your budget and buy only features that have utility in your kitchen. That being said, if you’re committed to cooking like a pro, for example, buy the appliances that will allow you to do what you want to do toward that end. It’s your kitchen; show some personality – Designing the kitchen as an extension of your household’s collective personality can turn it into an exciting gathering area that also encourages culinary creativity. While remodeling for money requires a more pragmatic approach to upgrades and buying appliances, a project that isn’t based on the sale of the home can be executed with creativity and flair. The key is to decide whether fiscal responsibility or wild creativity is in order before starting the project. 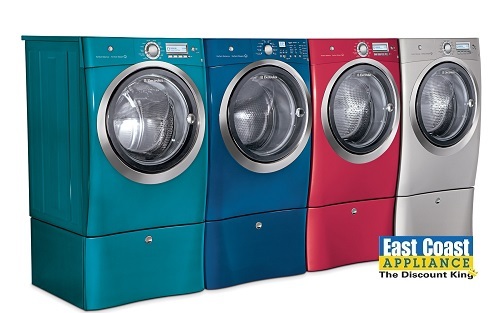 How to Save Energy with Appliances from East Coast Appliance. Major appliances, even when a household has installed ENERGY STAR rated products, can account for 20 to 30 percent of a household’s energy bills. In temperate climates where heating and cooling are not required on a regular basis, major appliances typically consume an even greater percentage of total energy usage. By looking at just a few of our household appliances and changing our habits, we can reduce our energy consumption even further. • The refrigerator – Keeping temperatures too low in the refrigerator and the freezer can result in a motor that consumes far more energy than is necessary. The optimal temperature for the refrigerator compartment is 38 degrees while the temperature level in freezer should be maintained at 4 degrees. These temperatures can maintain freshness while consuming energy efficiently. • The dishwasher – The heated drying cycle of a dishwasher consumes energy unnecessarily, especially if there isn’t a need to pull dry dishes out of the machine at a specific time. Instead, use the air dry option which uses air blown by fans to dry the wash load. • The washing machine – Opt for cold water washes whenever possible with your washing machine. In a hot water wash 90 percent of the energy consumed goes to heating water. Defaulting to hot cycles has become unnecessary as advancements in cold water washing detergents can now yield the same results as those of energy consuming hot water cycles. The advanced cleaning capabilities using cold water and cold water detergents now mean that hot water cycles need to only be used when greasy or oily stains need to be removed. 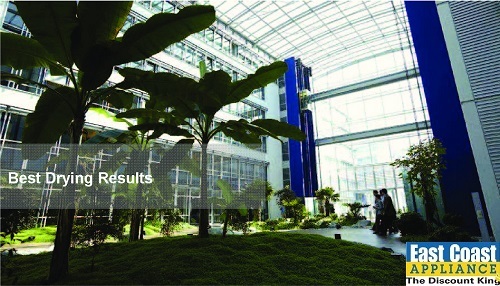 Each of these actions can capitalize on improved efficiencies of today’s appliances. By turning them into habits, you’ll be able to optimize your savings on a monthly basis. Getting the laundry done is often considered as the type of task that is performed in the same way every time with a primary goal of getting the chore done as quickly as possible. Contrary to this common theme, the shortcuts and habits that are frequently part of hustling through the job can actually require more time, use more energy, and treat apparel more harshly than taking a more methodical approach. •	Trying to do 1 ½ loads (or more) with one wash cycle – When the basin of the washer is overloaded in an attempt to run one less wash cycle, a variety of things can go wrong including items that don’t get cleaned properly as well as extra stress on the washer’s motor. The result of trying to wash more clothes than the machine can handle the first time often results in the need to run two additional cycles with reduced loads. •	Using the same amount of detergent every time – Wash loads can vary widely in the amount of soil content that has to be cleaned. Using the same amount of detergent on each load can result in an unnecessarily harsh washing environment for light loads and diminished cleaning power on heavy loads. Taking a minute or two to determine the recommended amounts of detergent for specific types of wash loads can save money and prevent you from having to re-do wash loads that didn’t start out with enough detergent. •	Using the same wash cycles and temperature settings every time – Wash loads that are made up of t-shirts generally require far less water and lower temperatures than those full of heavier fabrics and oil-based stains. Adjusting cycles and settings to match the wash load typically results in efficient washes that also save time and money. •	Neglecting the dispensers – Detergent and fabric softener residues tend to thicken and clog dispensers over time, resulting in a steady decline of washing efficiency. Rinsing these dispensers out with hot water every other month can keep them flowing free and deliver great wash results every time. Rushing through the weekly laundry cycles can actually waste time and money. By running appropriately sized wash loads, making adjustments for different types of loads, and doing some minimal maintenance you’ll be able to maximize cleaning and minimize your laundry time. These are some nice tips regarding the use and care of your microwave. Microwaves have become an integral part of many families’ cooking habits so proper care is needed in order to get the most out of your microwave. The first step to proper microwave care is cleaning the inside. Cleaning a warm microwave is an easy way to get all the food spatter up. The best way to do this is to heat a bowl filled with water and some dish detergent, or white vinegar. The steam from the mixture softens the build-up and makes clean-up a breeze. You can also heat paper towels that have the same mixture on them. Make sure when wiping out the microwave you remove the plate and any accessories such as shelves so you have an unobstructed area to clean. You’ll also want to take your time and clean the inside top, door, door frame and the seal if your microwave has one. Always remember to remove and not use aluminum foil, metal containers, metal utensils and products with metal trim in your microwave. Metal can cause arcing and will damage the oven, possibly causing a fire. When using your microwave always make sure any container is open and not sealed shut. Pressure can build inside the sealed container and cause it to explode. Baking potatoes should have the skin pierced to relieve pressure and eggs should never be cooked in the shell. 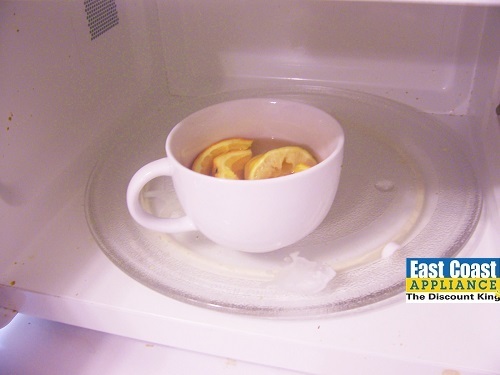 Lastly, if your microwave has a bad, musty smell, you can heat a 2 to 1 mixture of water to lemon juice in your microwave and let it sit 5-10 minutes. This will serve two purposes; 1) it will give your microwave a fresh, clean smell and 2) you can clean the inside of the microwave because the steam from the mixture makes a great cleaner. Top ensure your microwave operates at its optimum, follow these simple guidelines from East Coast Appliance. As dishwasher technology has continued to increase, so have the buying options for shoppers. Unfortunately, this has also led to confusion for the consumer. This article breaks down dishwasher shopping to its basics in an effort to help you sort through the myriad of options available. The two main considerations to buying any major appliance are budget and needs. Please notice we used the word “needs”, not “wants”. After we have these two figured out, then all you have to do is marry the two to find your perfect appliance. Dishwasher prices run the gamut from the budget sub-$300 group to the ultra-high-end plus-$1500 segment. Before visiting a major appliance dealer you should have your dishwasher investment pegged within an acceptable range for yourself. We find that most “needs” can be taken care of well within most budgets leaving room for some “wants” to be taken care of as well. Enough with the budget, you get the idea. Here are some considerations when thinking about your needs. If the dishwasher is located in a central area of the home where sound can travel and the dishwasher noise is bothersome, then you’ll want to put 50dBA on your list of needs. When you get above 55dBA you start entering the “I can’t hear you” realm and that’s no fun in the kitchen where the family inevitably ends up after meals. If you can swing for a sub-50dBA you’ll really notice the difference from your old, loud dishwasher. Family size is a huge consideration for dishwasher buyers, and should rank with sound as far as important factors to consider. If you have a large family, or host a lot of parties then you should put 16 place settings as your goal. Small families can get away with 12 place settings just fine. 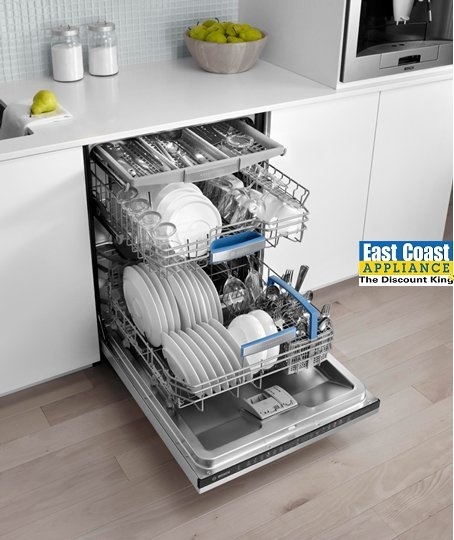 If you have a small family and your dishes consist mainly of small plates, cups, and utensils then consider a dishwasher with a “Top Rack” only option. This saves money, energy, and water by using only what is necessary to wash just the top rack, not the bottom. A double dish drawer is a great option here. If you’re a baker then you’ll want to look for a dishwasher with a top rack that is adjustable in height so you can fit baking sheets on the bottom rack. You’ll also want folding tines to accommodate mixing bowls. Once you’ve figured the budget, sound, and use, you can start looking at other features you may want to include. If you contact one of our stores, our professional sales people can help you break other features down in order to get you exactly what you want in the budget you have set. Earlier we covered How to Clean a Smooth Top Range so this is a more comprehensive look at how to care for your oven stove range. If you have a self-cleaning oven you’ll want to consult the owner’s manual or contact the manufacturer for proper use of that feature. Self-cleaning ovens use high heat to burn off the residue inside the oven’s cavity for easy wipe up. If your oven racks are chrome you should not have them in the oven when using the self-clean feature as this can cause the chrome to pop off and will lead to premature failure of the parts. Likewise, drip pans are usually too thin to use in the self-clean mode and can warp under the heat. If in doubt, always consult the owner’s manual or the manufacturer. Stained drip pans and bowls usually can’t be cleaned and will need to be replaced typically every 3 years or so. Light bulbs can and will burn out. The most popular wattage is 40 and they are easy to change. Check with your owner’s manual for the proper bulb’s part number. If you can’t locate it please call our Parts Department at 757-437-1100 and they can help you out. When it comes to cleaning knobs you’ll want to use a mild, non-abrasive cleaner and a soft rag or sponge. The numbers and letter can rub off over time so be sure to be gentle. If you have one or two knobs you just can’t get clean then put them in a basket on the top shelf of your dishwasher when you run a load dishes. If you need to replace a knob you can contact our Parts Department. We occasionally hear from customers who have a hard time cleaning the glass in the door of their range. Any glass cleaner should work, but for especially hard to clean spots you can use a citrus based cleaner first followed by glass cleaner to remove the streaks. Whenever you clean the control panel you should first spray your cleaning rag and use that to apply the cleaner to the panel. Do not spray cleaner directly onto the panel as the sensitive electronics could get damaged. When doing this standard maintenance on your oven stove range and you come across any parts that should be replaced, just call our Parts Department at 757-437-1100 and have your manufacturer and model number handy. These can usually be found on the frame when the bottom drawer is open. All the cleaning products needed can be found at all of our Super Store locations in Virginia Beach, Chesapeake and Newport News.